Dress to impress the lucky stars in the Year of the Earth Pig with these pieces specially made for Chinese New Year. Always the symbol of good luck, red is this year’s lucky colors, according to feng shui masters. Marites Allen, one of the country’s most sought-after feng shui masters said red as well as green are the dominant colors this year. “The red symbolizes Fire energy, festivity, and good luck; and the green symbolizes the wood element for growth and progress,” stated Allen. 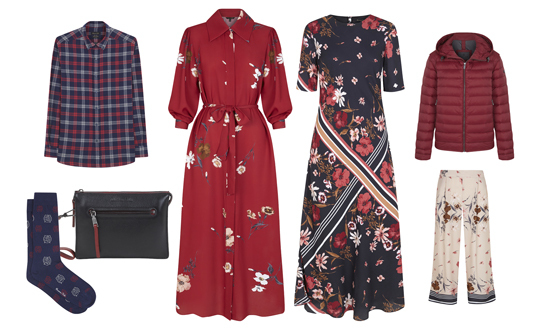 Floral prints and the color red are featured strongly in Massimo Dutti’s CNY collection. Vibrant, fresh, and huge explosion of red are featured strongly in Massimo Dutti’s extensive CNY collections for men and women. The women’s line is highlighted by lovely red floral prints and night blue sophistication. It’s composed of dresses, tweed jacket, flared jeans, and knitwear pieces, among others. Likewise, the men’s collection is heavily drenched in red—serving as a common thread between all the garments’ interior and exterior details. Down jackets, shirts, polo shirts, trainers, and undergarments comprise the men’s line. The collection is available at Greenbelt 5 and Power Plant Mall. 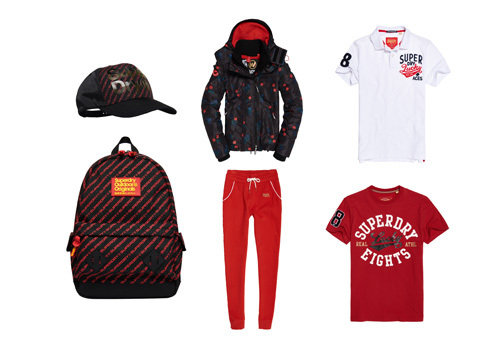 Vibrant red Windcheaters take centerstage across Superdry’s limited edition collection for men and women, while gold foil logo tees across a range of primary colorways have been detailed with the lucky number 8. Superdry’s hoodies, joggers, and tees get a ‘lucky’ update. An array of vintage style matching hoodies and joggers has been updated with pop-color tape detailing down the arms and legs. A logo emblazoned cap and backpack for men, and a flower speckled Montana and stripped back trucker hat for women complete the accessories line. Pieces are available at SM Mega Fashion Hall and Ayala Center Cebu. American footwear label Keds has created special limited edition designs of two of its classic styles: the Triple CVO sneaker and the Triple Kick platform. 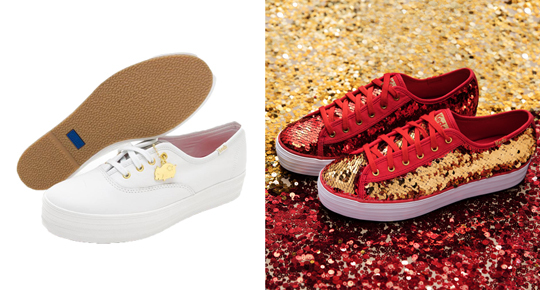 Welcome the Year of the Earth Pig in limited edition sneakers from Keds. Triple Kick’s CNY-ready version sparkles with sequins that when flipped show two colors: red and gold, and glistening golden trims which include gold eyelets, the brand’s label, lace tips, and a removable piglet charm. The Triple platform sneaker, meanwhile, is made of soft white leather, and also comes with a lucky golden pig charm to bring good vibes. These sneakers will be available on Feb. 1.